Barcelona has been ranked as the best holiday destination in Spain by reviewers on travel website TripAdvisor. 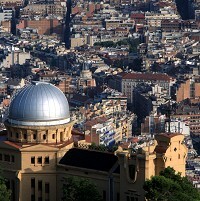 The city offers a "unique blend of Catalan culture, distinctive architecture, lively nightlife and trendy, stylish hotels", according to travellers who have enjoyed the Barcelona experience. Holidaymakers planning to take out a travel insurance policy for a trip to Barcelona are advised to visit attractions including the Parc Guell gardens and the Sagrada Familia church. Spanish capital Madrid was named the second best holiday spot in the country, followed by Granada, Seville and San Sebastian-Donostia. At the 2011 Travellers' Choice Destinations awards, Barcelona was named the fourth most popular destination in Europe, with the top honour going to Paris. Rome was voted as runner up by the online travel community and was followed by London in third place. TripAdvisor chief marketing officer Barbara Messing said: "The Travellers' Choice Destinations awards not only recognise some of the most beloved travel destinations worldwide, but serve as inspiration for millions of travellers looking to plan their next trip."